Located in the city centre next to intu Victoria Shopping centre and within easy reach of all the local top attractions, shops and cultural sites such as Nottingham Castle. While you’re here, enjoy a full list of amenities, including a LivingWell Health Club where you can maintain your fitness while you are on the go. Our LivingWell Health Club is well equipped with state of the art gym equipment, an 18m pool, sauna and steam room. Our onsite restaurant Bric Bar & Kitchen offers a relaxed atmosphere serving modern British dishes with a twist. The hotel has 176 guestrooms each varying in size and type to suit your stay. 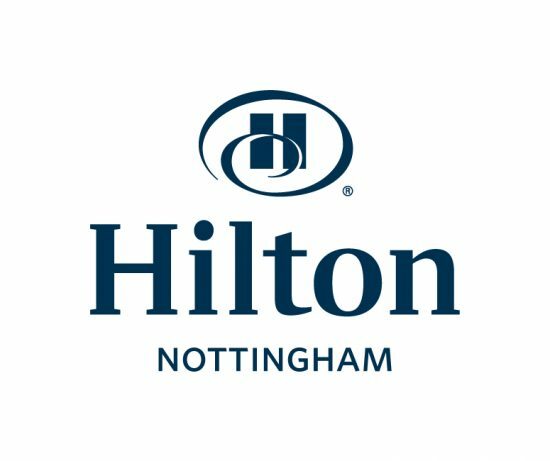 Hilton Nottingham has a dedicated Meetings corridor made up of 6 meeting rooms, with the largest the Wembley Suite accommodating up to 200 delegates in a theatre style layout.